If carefully harvested, the fruits yield a nut meat that’s edible only in small amounts. 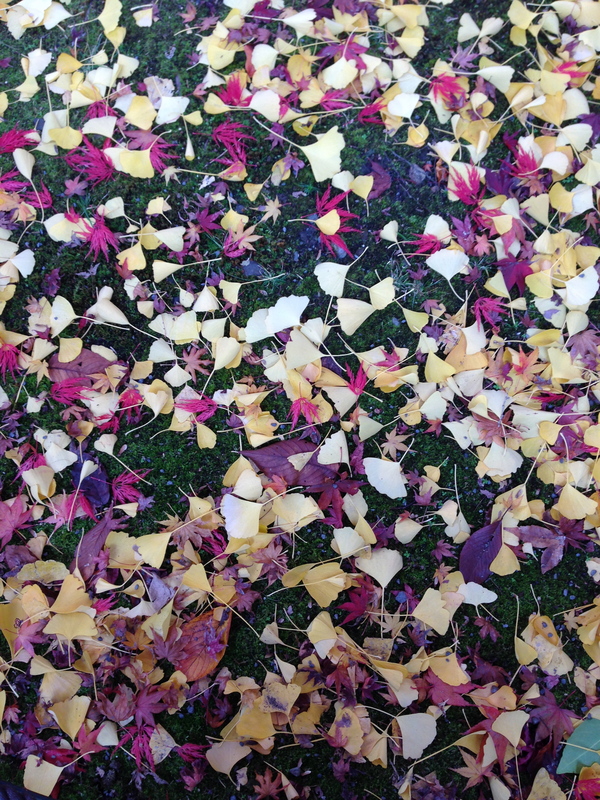 The downside of the Ginko tree is their tendency for female trees to drop stinky fruits. The fan-shaped leaves are a beautiful yellow during autumn, and are odor-free. About the size of cherries, the wrinkled pink-and-orange fruits of ginkgo exude very little odor if left un-ruptured. Larger than pistachios but with thinner shells, the nuts are high in niacin, starch and protein, but low in fat, but they contain toxins. Cooking them helps break down bitter-tasting cyanogenic glycosides. 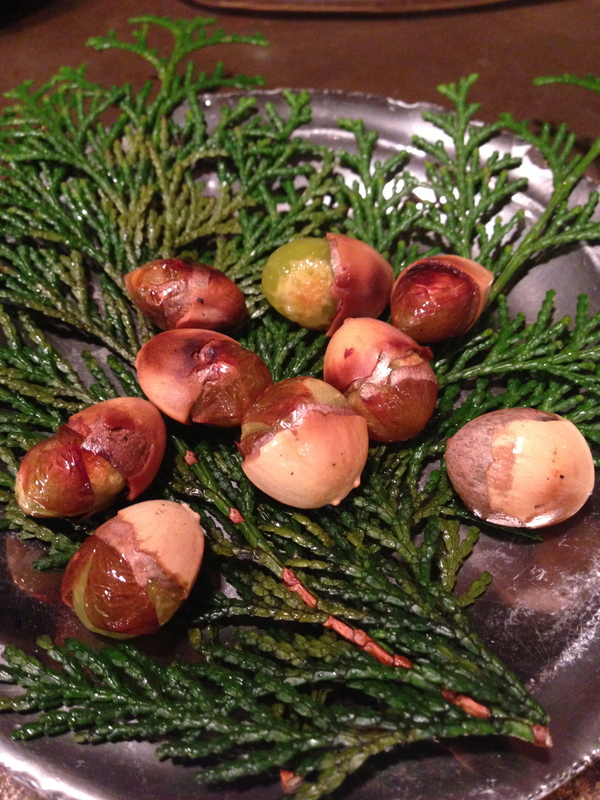 The Roasted nuts are a translucent jade green with a soft, dense texture. They taste like a combination of edamame, potato and pine nut. Some people say they’re reminiscent of chestnuts. Hong Kong government’s Centre for Food Safety cautions people about the nut’s toxicity, advising them “not to consume more than a few seeds at one time.